A couple of weeks ago I saw one of my favourite bands, Incubus, live in Brisbane! I was almost very tempted to take my sketch book with me but it would have been difficult to dance with!! 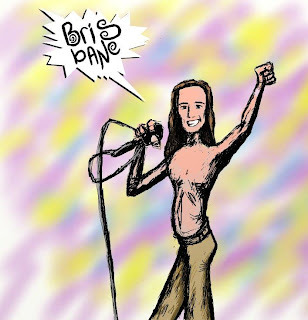 Instead, as vocalist Brandon made a quick cheeky smile whilst shouting ‘Brisbane’ I closed my eyes and mentally drew him! A couple of days later I created this image!